This charming boutique hotel exudes the very essence of Seville with a thoughtful design that is in keeping with the city's Arabian and Andalusian architectural heritage. Set in the historical and commercial heart of Seville, the hotel puts guests at the doorstep to a myriad of exciting activities and cultural destinations. The hotel features 76 comfortable rooms offering conveniences such as Wi-Fi and Nespresso coffee makers. 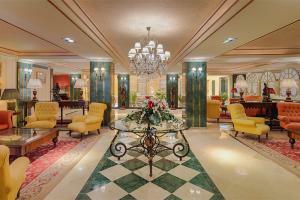 Located in the historical and commercial center of Seville, close to the city’s main tourist attractions.